Topic of the Week: What are your favourite mods? If there is a single element in PC gaming that defines it and separates it from its console cousins, it would have to be mods. Sure, there’s the freedom that comes with being able to build custom rigs, the powerful GPUs, the shift to digital that’s made buying and playing games so much easier – but it’s modding wizardry that gets me most hot under the collar. So that’s our Topic of the Week. Mods. Specifically, what are the one’s that have had the greatest impact on you, dear reader. Any game, any mod – we want to know. So tell us, what are your favourite mods? As always, I’ll get the ball rolling. 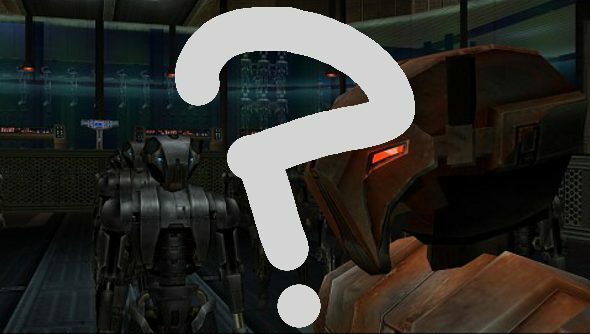 Fate was not on Knights of the Old Republic 2’s side. Obsidian’s exploration of morality and philosophy elevated Star Wars well beyond its simple premise. In my estimation, it’s the best thing to have come out of the franchise since The Empire Strikes Back. But, rushed out the door by LucasArts, it became a frequently cited example of buggy, unfinished games. The now complete Sith Lords Restored Content mod was a revelation. A group of diligent modders rebuilt Obsidian’s vision, squashing bugs, restoring deleted content and generally repairing the damage done by its hasty development. If KotOR2 is a great example of rushed development, then TSLRCM is a testament to the skill of modders, and their ability to make great games even greater. It’s one of my favourite mods, not because it’s flashy or some drastic overhaul, but because it respects the original game – one of the best RPGS on PC – and simply makes it what it should have been to begin with. I’ve rambled on long enough. So, you lovely lot, what are your favourite mods?